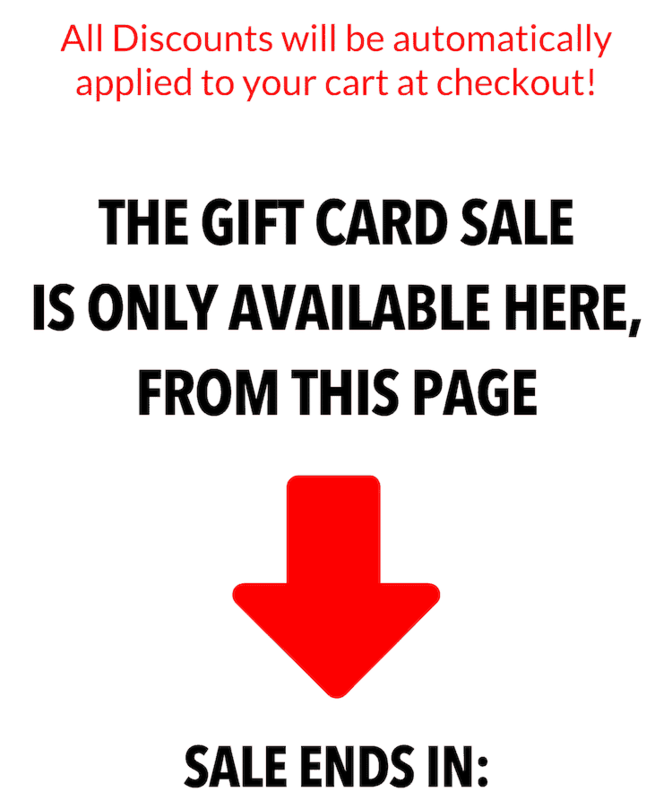 THE 2018 GIFT CARD SALE HAS ENDED. THANKS FOR SUPPORTING OUR ANNUAL EVENT! 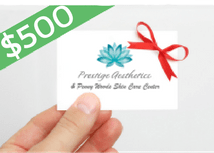 Our Gift Card Sale is back! Discount will be applied to your cart automatically. ready to gift or use instantly! You’ll receive your gift cards within minutes of ordering! 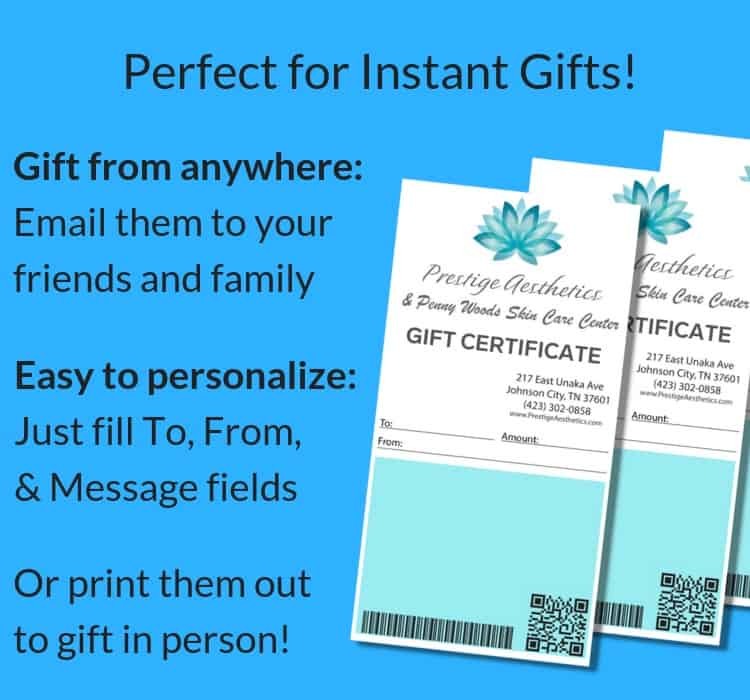 Print them out to gift in person! 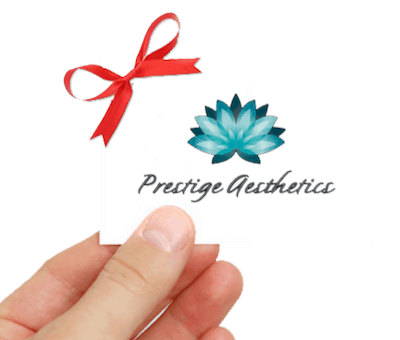 Have questions about gift cards or need help? Click here to email us. Have questions or need help? Click here to email us. 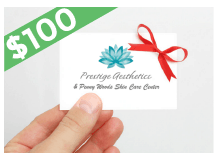 Our annual Gift Card Sale is back! Mix and match gift cards any way you like. They will not show the price you paid, and they never expire! 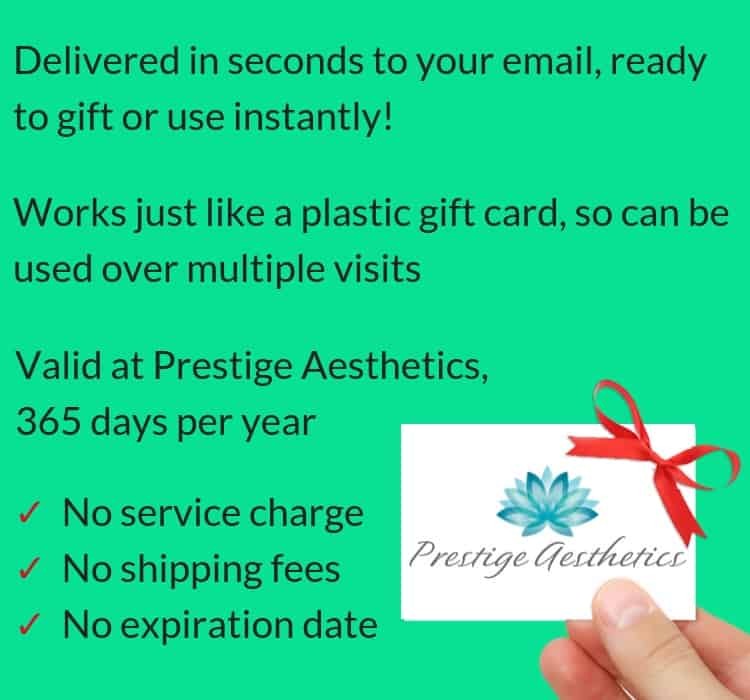 These Gift Cards never expire and are valid on everything at Prestige Aesthetics – including all services, products and treatments, with just a few minor exceptions: Eyelash Extensions, Hair Salon Services (Cuts / Color), and Fitness Classes. Have questions about this or need help? Click here to email us.